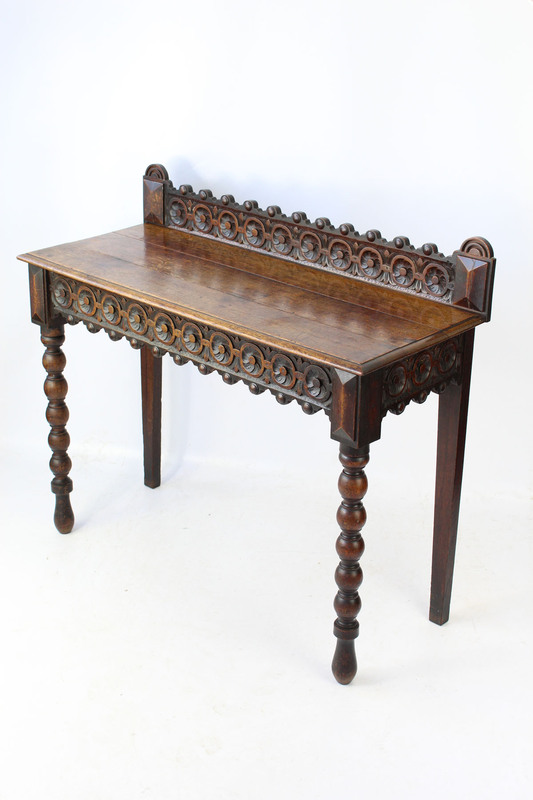 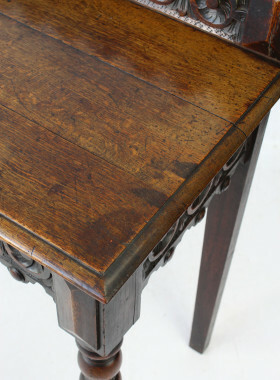 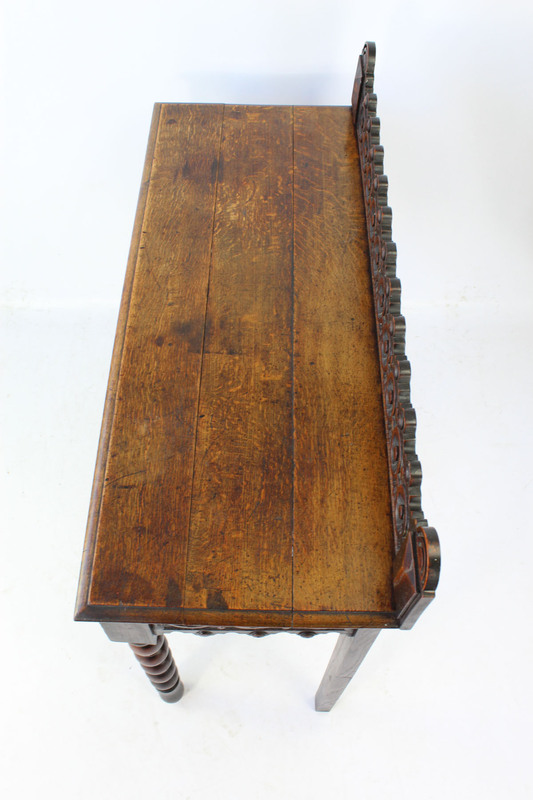 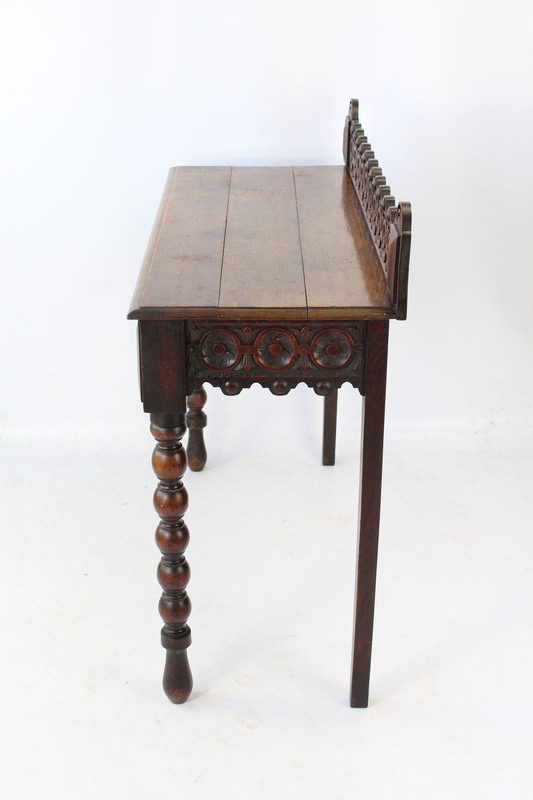 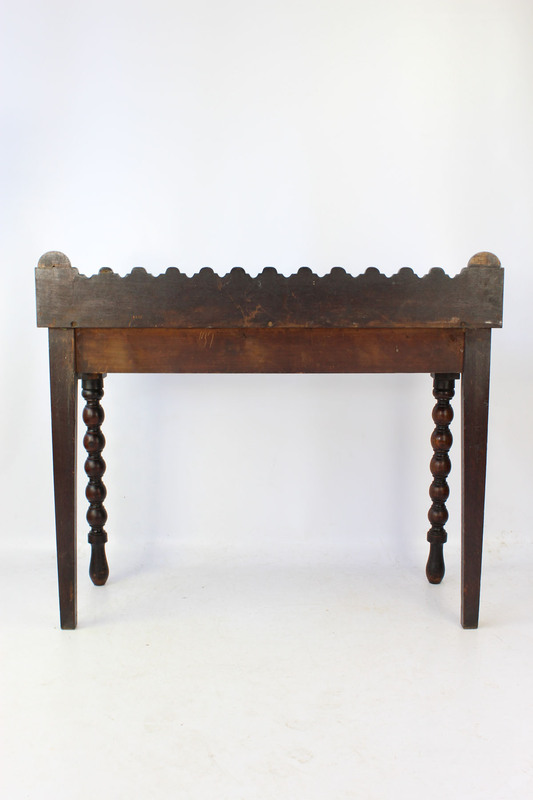 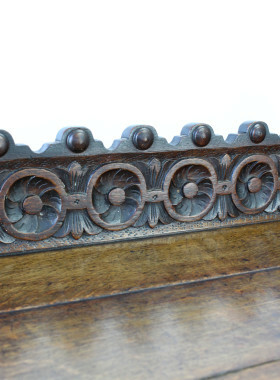 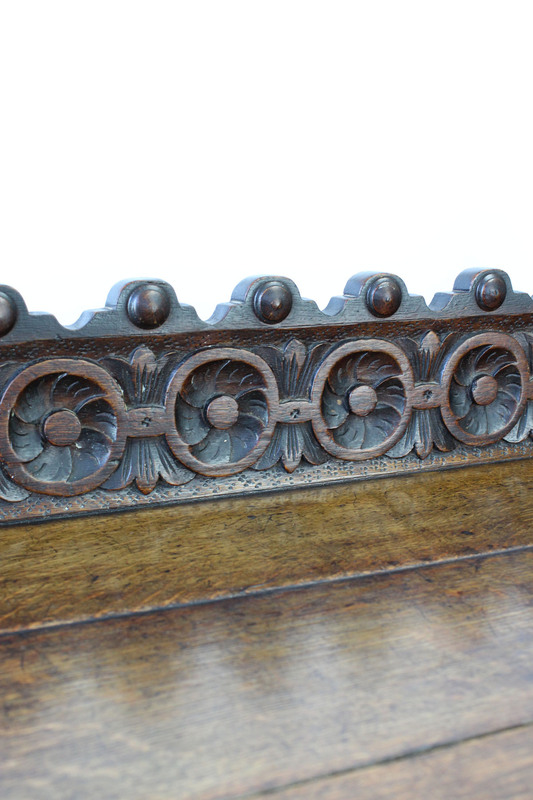 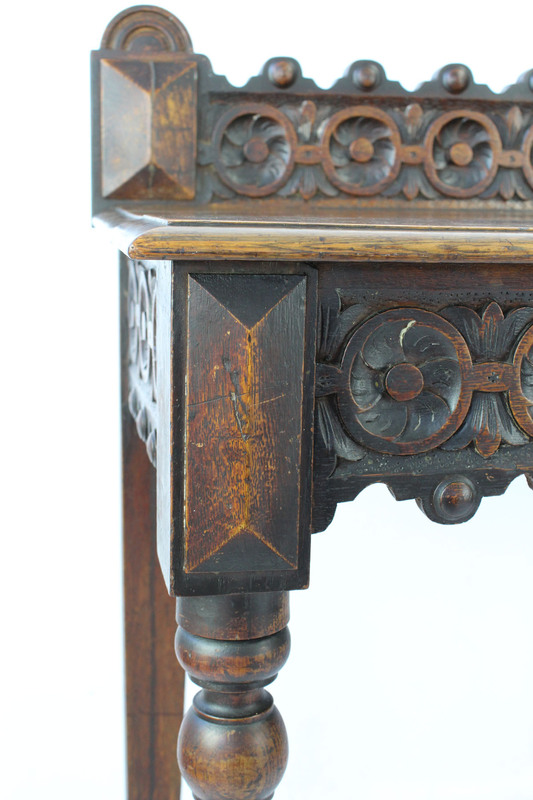 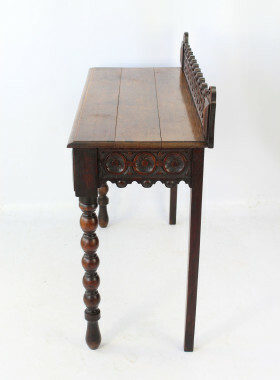 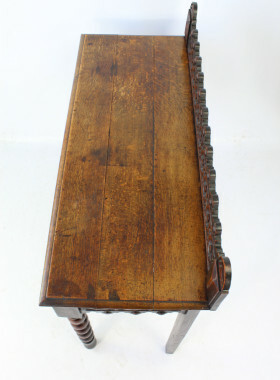 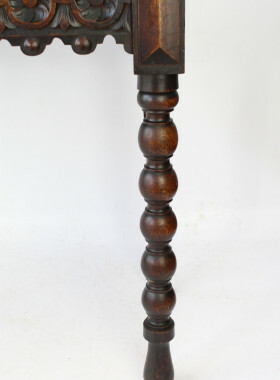 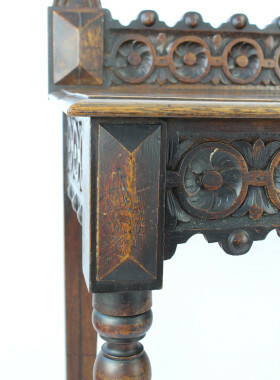 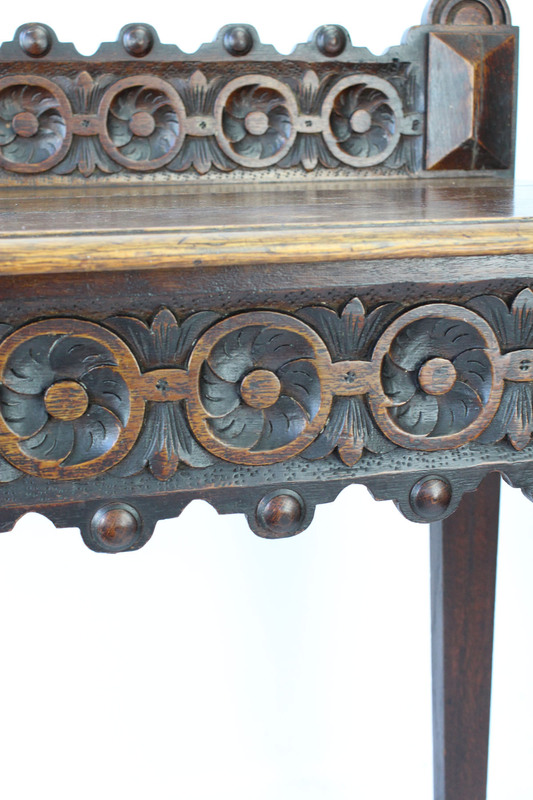 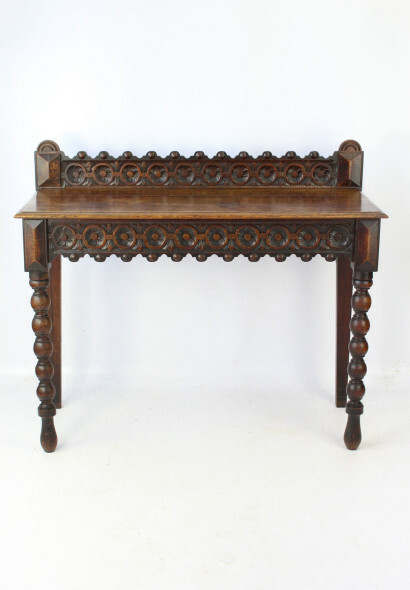 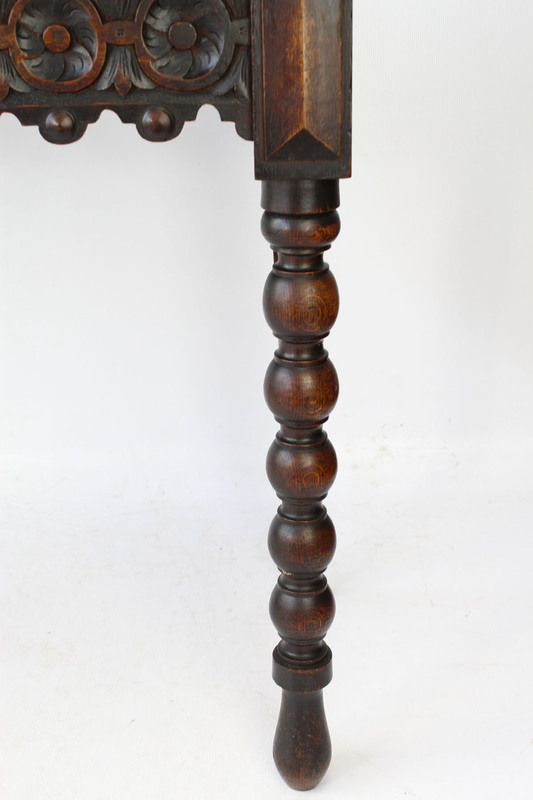 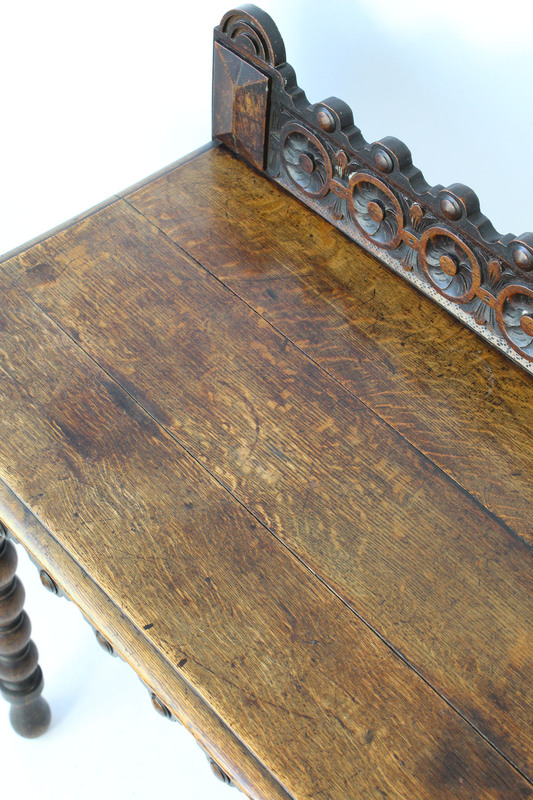 A magnificent antique Victorian gothic revival oak hall table dating from circa 1880. 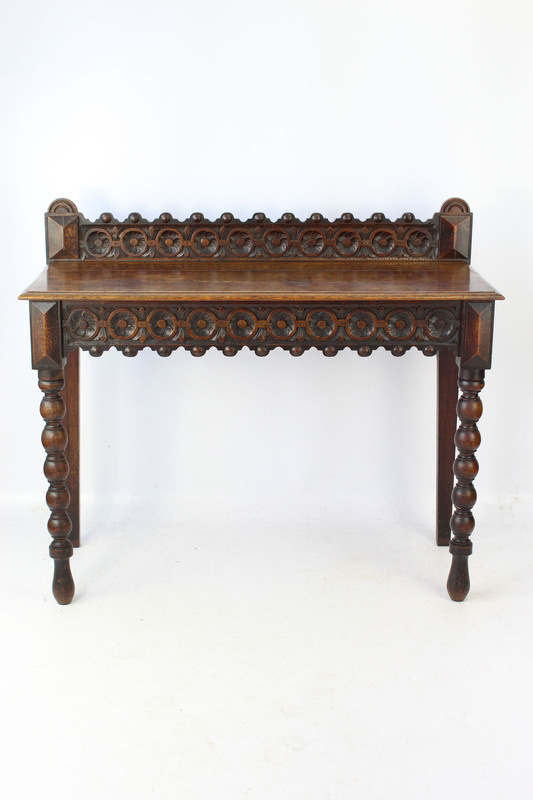 A magnificent antique Victorian gothic revival oak hall table dating from circa 1880. 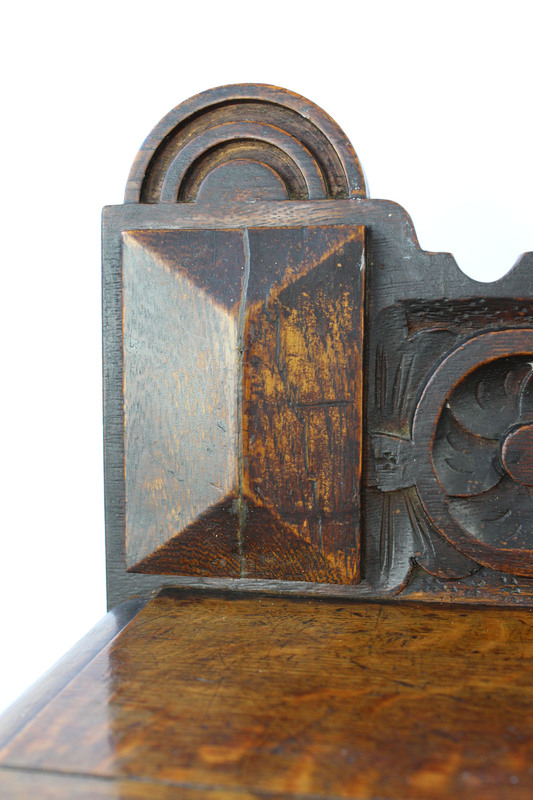 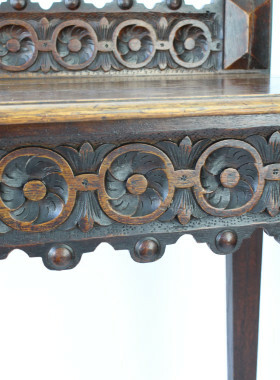 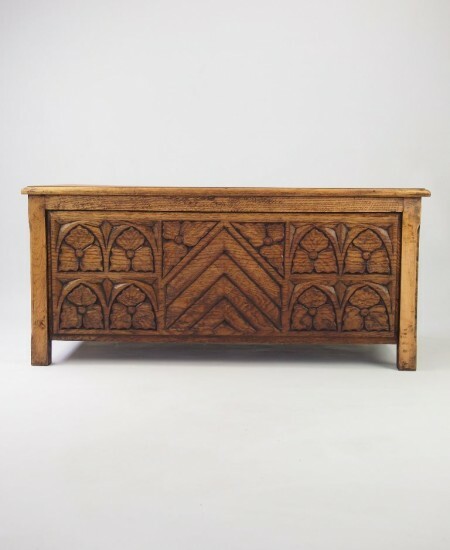 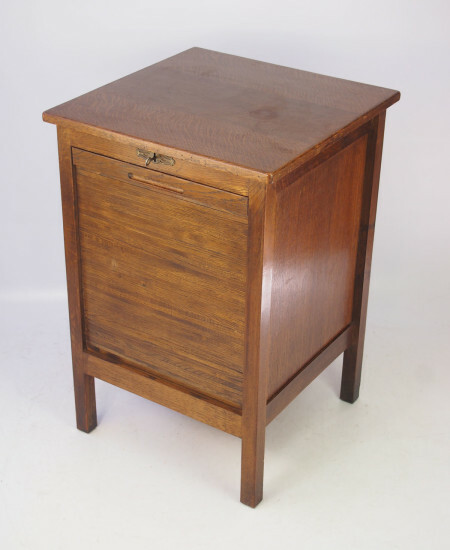 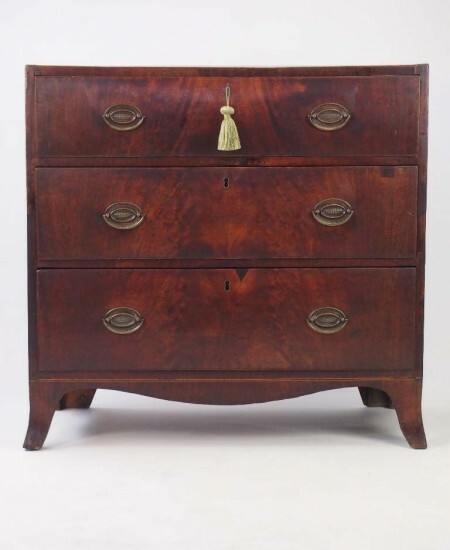 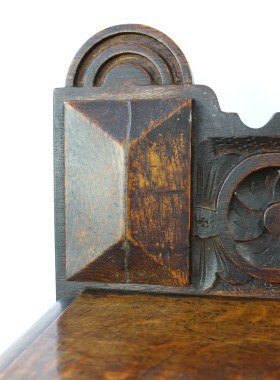 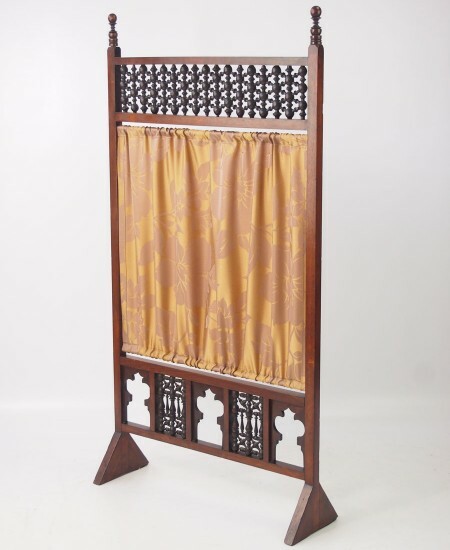 The raised gallery back with profusely carved floral decoration, the rectangular top with moulded edge raised upon turned front legs with square legs to the back. 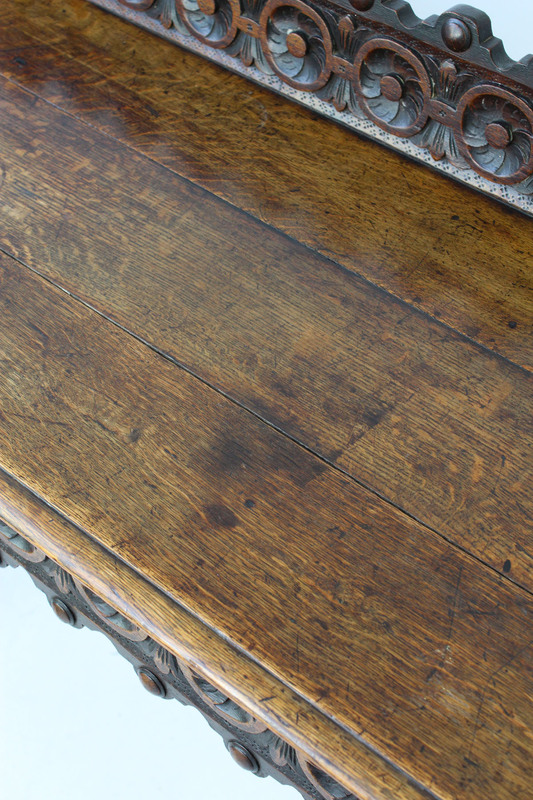 Good condition with really good colour and patina. 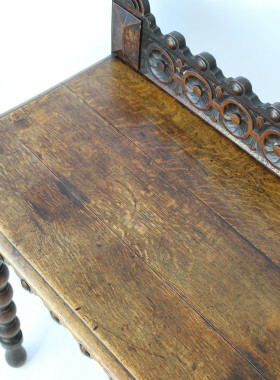 Good condition, solid and sturdy really good colour and patina. 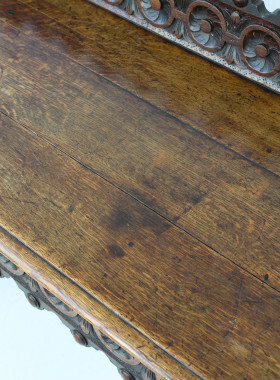 With general wear and marks commensurate with age.